Let Suncoasteam help you sell your home! Your Suncoasteam is here to assist in selling your home. Please contact us with any questions or special requests that will help make the sale easier. We will be happy to help you locate a handyman for small repairs or painters, etc. We will work closely with you to market your property, produce a color brochure and negotiate a sale that is in your best interest. At Suncoasteam Realty we try to give as much information for sellers as possible to help you make an informed decision. The following documents will help you get the process started. Do not hesitate to call us for a Comparative Market Analysis so you will have an understanding of current market conditions. There is no obligation or charge for this valuable service. Vacant land or lots? This is the CMA request form for you. What Will a Seller Pay for Closing Costs? We’ll get back to you to request information on the property you want to sell so that we can compare similar homes (or vacant land) currently for sale in your area. 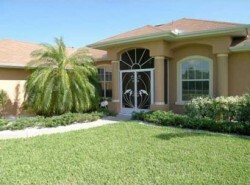 We will also compare your property with similar properties that have recently sold or are pending sale. Finally, we will report on similar properties that failed to sell during their listing period.